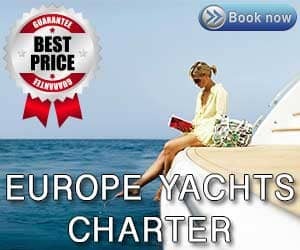 Home Charter Advice What gear to have when chartering bareboat sailing yacht? In this small text we will introduce some essential and not so essential gear you will need to bring with you when you charter as yacht with Europe Yachts Charter. At sea, as long as body parts don’t get stuck in winches, clothes are optional. Your knife belt isn’t. You should carry a decent, sharp knife that can be used in just a second or two to cut away any problems on the boat. Your foot might be in a bight of sheet when it tightens and you could have to cut the sheet to avoid being thrown over the side. A marlinspike is a nail shaped piece of hardened steel that you use to break knots or for other general rigging tasks. On tall ships this piece of kit is still more important than clothes as you could be 110 feet up the mast when you need to work on something immediately and can’t hang about shouting to the deck for one to be sent up the gantline. Aboard a yacht? You should certainly have one among the crew, though all good sailors have their own. Sunshine reflects off the surface of the water and can cause sunburn far faster than the sunshine ashore at your home in New York. Wear a high Sun Protective Factor (SPF) sun cream for the first few days to tan and then put the sunblock on. Better to be pale and interesting than to attract the partner of your dreams only for them to care for you as you die of melanoma. Particularly with global climate change we cannot guarantee that you will have 7-14 days of bright sunshine on your vacation. You should if at all possible at least have a good quality coastal sailing jacket with a hood and a fleece collar. On a wet day there’s nothing more comforting than being on deck with your hood up and the fleece collar around your neck. It feels as if you’re watching the filthy weather from elsewhere. In our charter areas of the world however is very warm. At sea you may prefer to sit in a rain shower in just a tee-shirt and shorts rather than putting on your foul weather gear and soaking your clothes in your own sweat? This is a conundrum we all face from time to time. 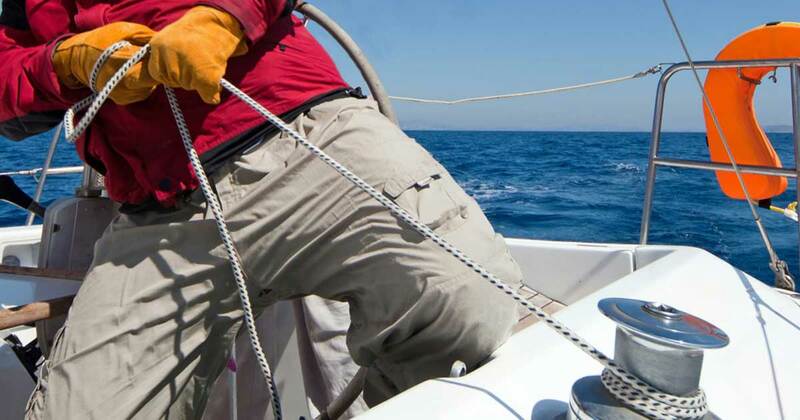 Your hands may blister quickly from rope handling so after the knife, your next most important piece of kit should be a pair of sailing gloves. These generally have a suede or leather patch on the palm and this, not your skin, will be burned with the line running through your hands. Don’t bring too many clothes! For some having three changes of clothes a day is the normal and having just the right clothes for every occasion is a necessity. Yes, bring a reasonably smart outfit for the odd decent dinner or when prowling for night time fun, but us sailors are a scruffy lot at the best of times. There isn’t the storage space aboard for more than one change of clothes a day and many people sailing might question even that much. Bring swimming gear. There are some fantastic places to sunbathe and swim that aren’t accessible from ashore and you will have your privacy. You should have a pair of rubber soled, fast drying shoes that don’t leave marks on the deck. Basically, deck shoes! These can cost as little as €30 and will serve you well for your trip, even if they next come out of the cupboard for your next trip with us in 12 months’ time! Your clothes should be lightweight and capable of being layered for warmth. Cotton Traders make a line of fast drying clothes, as do Ben Sherman and a few other outdoors targeted brands. You should bring light sweatshirts or hoodies. Two tee-shirts beneath a sweatshirt is fine when it gets cold in the evening. This might horrify some but you will often be out of mobile signal range and therefore unable to access Facebook, Twitter or Instagram. For those quiet evenings at anchor, have your Kindle or good old fashioned book. Kids may ‘need’ their games consoles though won’t be able to play online all the time. Have an iPod of music and perhaps even pack a game of Monopoly for everyone to play. If at all possible, bring lightweight, waterproof baggage that can be rolled up small down below. You’ll use it twice – once on arrival and the next time on departure. Don’t have something so big and flexible it can’t be stored out of the way. You’re at sea and things will get wet below. Keeping your iPod / iPad / Kindle in a waterproof case while at sea will save you from trouble down the line.